That’s a classy look for Parisian walks. We see a kind of modern normcore outfit idea consisting of a wool black coat worn over black turtleneck tucked in washed blue slim jeans completed with black trainers. Add black rounded sunglasses and black leather handbag to make a wow statement on the streets. Do You have any thoughts about Parisian Normcore Style: Black Coat, Slim Jeans And Trainers? 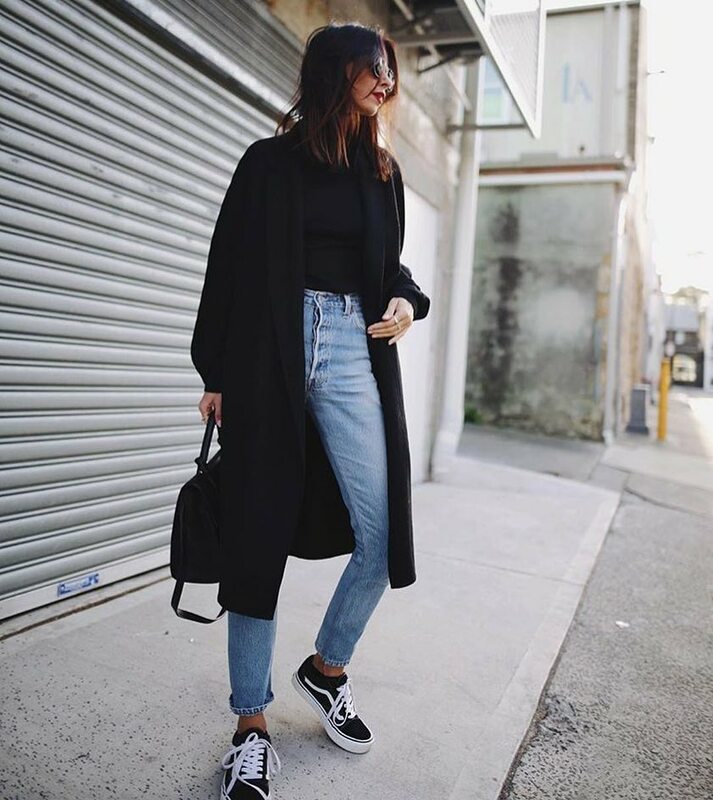 Here are Instagram Fashion pictures and trendy women’s outfits which are in style in 2019: Best Jeans For Women, Coats, Handbags, Normcore Style, Parisian Style, Rounded Sunglasses, Trainers, Turtlenecks and tips on how to wear them on the streets.